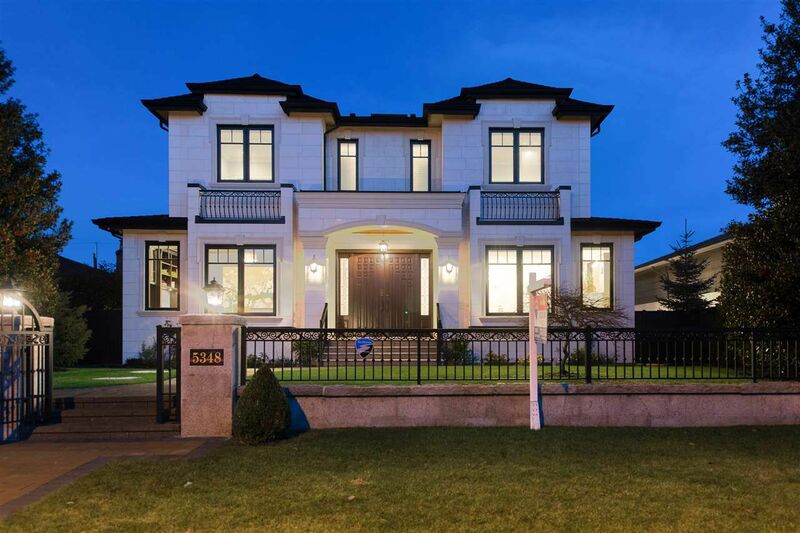 TRULY MARVELOUS & EXQUISITE CUSTOM BUILT NEW HOME in MOST CENTRAL CAMBIE AREA! This over 5100 SF luxurious mansion sits on a GREAT 61x138.5(8448sf) LOT, built by renowned builder w/ the greatest concern for details, quality & craftsmanship. 7 bdrms 6.5 baths+den, feat limestone exterior, terrific layout, custom wall panels. Enter with grace into the grand foyer, entertaining-sized lvg & dining rooms, gourmet kit + wok kit, top of the line appliances & cabinetry, A/C, HRV, recrm, steam, sauna, media room w/ high end home theatre system, wet bar w/ wine cellar, surveillance security system & park-like garden. Close to best private schools, QE Park, Eric Hamber Sec School, Oakridge Mall, UBC, & Canada Line transit.